There is no shortage of books and articles about establishing a business book club, either within an organization or elsewhere. 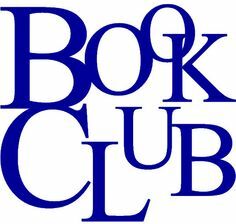 For more than 40 years, I have led dozens of book clubs, including those that focused on business books. In my opinion, these are the key points to keep in mind. o In recent years, most people (especially executives) have the attention span of a Strobe light blink. o It is imperative to make a distinction between discussing a book that has been read and talking about a book without having read it. o Beware of the “Field of Dreams” syndrome: Just because you have a book club doesn’t mean that anyone will join. o And even if you have attracted members, it can be very difficult to retain them. o Meet once month and only on a Tuesday, Wednesday, or Thursday. Some of the most successful are “Brown Baggers” during the lunch hour. 1. Decide whether or not you are going to assign books to be read in advance. You may wish to start with handing out an article on a business subject of greatest interest. See how that goes. 2. If specific office business books will be assigned, favor paperbound editions of no more than 150 pages. I have several dozen to suggest for consideration. 3. The one who organizes the club should probably be its discussion leader, unless there is someone else who be a better facilitator of discussion. Not all great facilitators of discussion are also great managers of time and tasks. 4. Do not force participation in discussion. Also gently but firmly discourage windbags. One strategy I favor is to begin the discussion by asking each person to suggest what the single most important idea they got out of the assigned reading. Go around the table, one by one, and take notes. Please contact me at intellect@mindspring.com if you have any questions and/or need suggestions for how to handle the first meeting and/or suggestions for book or article titles to assign.